In just a week’s time Motor Racing Legends will be heading to Hampshire for the Thruxton 50th Anniversary Celebration where we are hosting two grids – the Historic Touring Car Challenge incorporating the Tony Dron Trophy and a combined race for the Royal Automobile Club Woodcote Trophy and Stirling Moss Trophy. Both grids have two races, one on Saturday and one on Sunday with the usual rolling starts and a mandatory pit stop for driver changes. Thruxton marks round two of the HTCC and Tony Dron Trophy and competitors will be qualifying at 9.30am on Saturday morning with the first of two races being at 14.35pm on Saturday and Race 2 on Sunday morning. Last time out at Donington Historic Festival, the results and podium were dominated by a BMW invasion. Here at Thruxton, just one BMW M3 E30 will be lining up on the grid, at the hands of Paul Hogarth. With the absence of Chris Ward and the Rover Bastos Vitesse this weekend’s podium is wide open to new visitors such as the two Rover SD1s in the hands of Martin Overington /Guy Stevens and Andrew Strachan/ James Hanson. Technical issues and the hot weather caused a high attrition rate at Donington. Hopefully Thruxton will provide two chances for the runners to see the chequered flag – Ric Wood co-driving with BTCC star Adam Morgan in the Group 2 Ford Capri, Patrick Blakeney-Edwards and Fred Wakeman in their Group 2 Rover and Mark Wright in his Ford Sierra Cosworth RS500 – are all back on the grid. 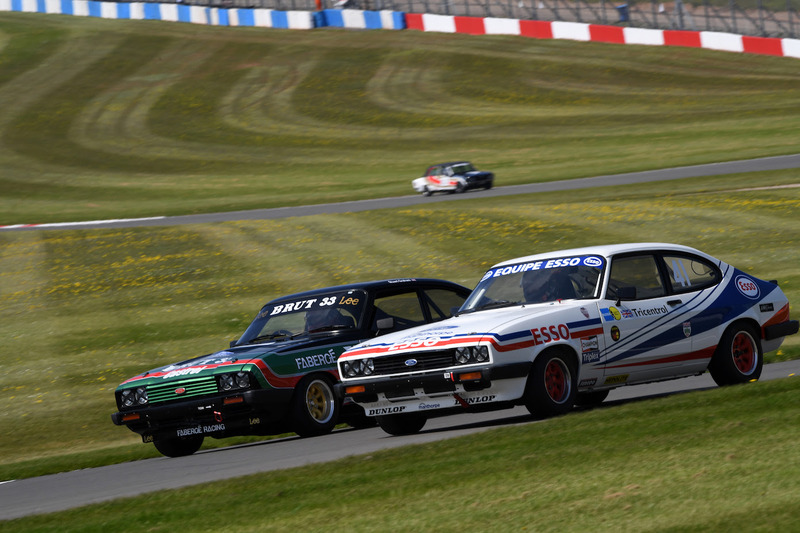 In the Tony Dron Trophy at Donington, the honours went to Patrick Watts in his Frank and Jeans Ford Capri and Patrick will be back at Thruxton looking to clock up another podium finish. The competition is fierce in this Group 1 class over 2500cc with four other Ford Capris looking for a place, including the potentially quick Fabergé liveried Capri of Ludovic Lindsay and Greg Caton. The Chevrolet Camaro of the Bryants also joins the line-up and Grahame and son Olly could be first across the line for the TDT. The combined grid for the Royal Automobile Club Woodcote Trophy and Stirling Moss Trophy will qualify at 11.15am on Saturday morning, with the first race at 16.50pm Saturday afternoon. Amongst the Stirling Moss Trophy line-up we have four Lister Knobblies joining us with Chris Ward driving the Donington race-winning JD Classics Lister Knobbly. TV presenter Tiff Needell joins Tom Harris, John Spiers drives solo and Tony Wood and Will Nuthall also join the Lister line-up. After a suspension failure in the closing laps of the hour-long race put them out at Donington, Olly and Grahame Bryant return with the Lotus 15 – surely a good bet for a podium place this time? In the Woodcote Trophy line-up, three Jaguar D-types will be lining up on this grid. John and Gary Pearson, Ben Eastick with Karl Jones and Steve Brooks has another go at a debut race with his freshly rebuilt D-Type after gremlins at the Silverstone Media day precluded him starting at Donington. 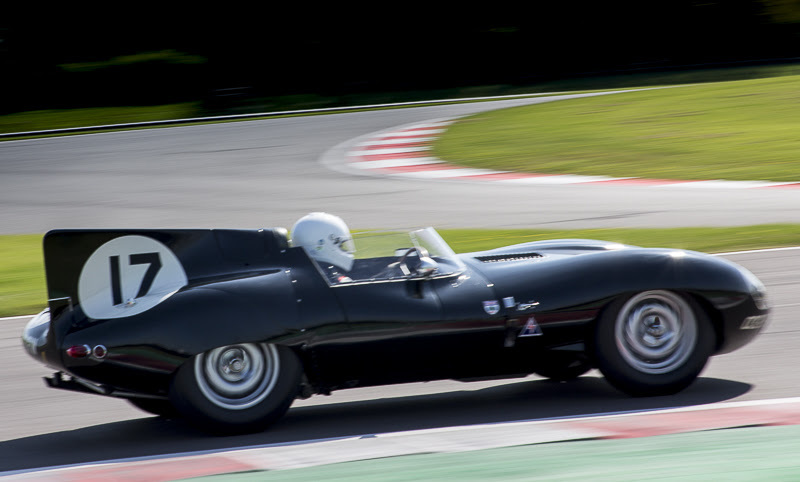 Strong competition will come from the Cooper Jaguar T38 of Fred Wakeman and Patrick Blakeney-Edwards.